Our top 5 stories of 2018 covered a variety of important heath topics: innovative techniques and technology, continuing medical education in Canada, tips for better managing stress, and, yes, recreational pot, too. The University of Ottawa Heart Institute became the first institution in Canada to systematically perform fluoroless ablation in patients with complex atrial arrhythmias. Esther Doucette’s pointers touch on just about everything – from exercising regularly, to nixing bad habits, to being self-aware and steering clear of unnecessary triggers. A few small changes can make a big difference. 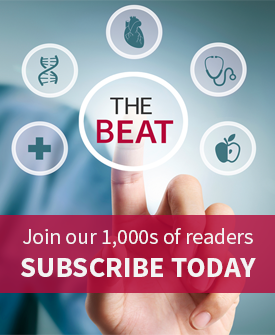 The Leadless Pacemaker: Is Wireless Pacing the New Era of Cardiac Care? Though still relatively new in Canada, leadless pacing system technology is emerging as an alternative to conventional pacemakers. Dr. Michael Froeschl understands the importance of continuing medical education. Earlier this year his enthusiasm, passion, and proficiency with regard to advancing CME initiatives in Canada earned him national praise. Legalized marijuana is now a reality in Canada. Two of the country’s top docs with regard to smoking cessation weigh in on the health implications associated with recreational pot — and what we still don’t know.